Welcome to the E.W. 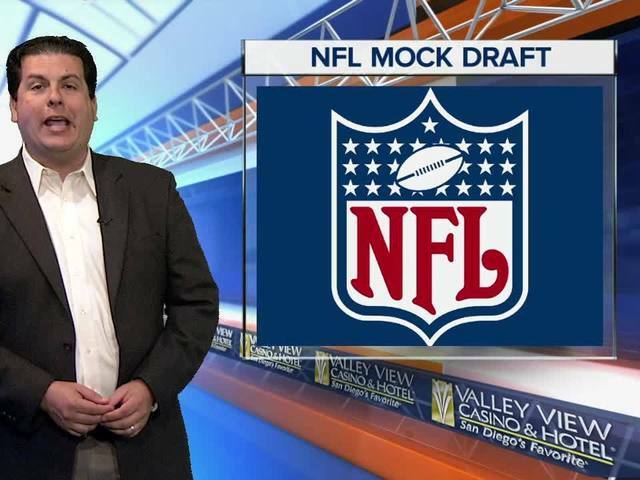 Scripps inaugural NFL mock draft. The E.W. Scripps Company is filled with experienced sports anchors and reporters in NFL cities across the country. Representatives from Scripps' TV stations joined a few friends to select players for the 31 NFL teams with first-round picks (Sorry, New England). The first round of the NFL draft is slated to begin Thursday night in Chicago. This mock draft does not allow for trades beyond those already completed by NFL teams. See what happens with your favorite team.